The Zion Baptist Church had it’s beginning in 1919 in the chapel of the old I&M College at 5400 Humbert Avenue in the Lake Como area. The early organizers were Elijah White, Ida White, Eugene Baker, Elizabeth Lewis, Fannie Sweeney, Leola Sweeney, Minie Ola Sewwney Nealy, Viola Sweeney Richardson, Victor Obrian and about six children. Rev. Frank Ford, Rev. Craft and Rev Redmond each served as pastor for short periods of time. 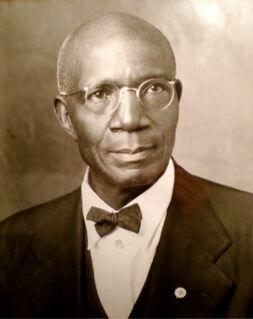 Until finances could be secured, Zion moved from the college chapel to the home of Eugene Baker at the corner of Bonnell and Horne. Later property was purchased at the corner of Blackmore and Horne. Rev. Redmond resigned and Rev. C.C. Quarles was called. Under the leadership of Rev. Quarles a small building was erected. In 1923, Rev. Quarles resigned and was succeeded by Rev. George W. Burton. Under Rev. Burton’s leadership and approximately 36 members, new land was purchased and a new building was erected on the present site at the corner of Horne and Libbey. In 1951, through the guidance of the Holy Spirit, our present structure was built. The original church bells were donated by Sara Mabry. Our church continued to grow as we were led by this man sent from God, who labored for here for 42 years until God called him to his reward in December, 1966. ​Zion marched forward under the leadership of Rev. J.W. Briscoe, Sr., who was called in 1967. The church continued to grow both spiritually and financially. Our church sanctuary was completely renovated in 1982 including the addition of the G.W. Burton Fellowship Hall and education wing. The Zion Baptist Church Ruth Roberts Scholarship for college students was initiated along with drill teams and other children and youth ministries. 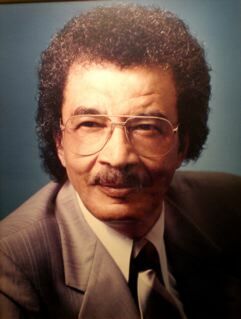 Our beloved pastor, J.W. Briscoe kept the faith, finished his course and received his crown in September, 1992. In 1992, Rev. 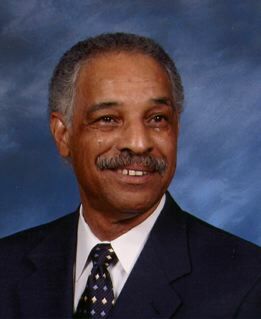 Maurice E. Barnes began serving as interim pastor. In march 1994, Rev. Barnes was called by God and accepted by the congregation to be the Pastor of the Zion Missionary Baptist Church. God has allowed Zion to continue to be an anchor in the Lake Como community and in the city of Fort Worth. The Church has been designated as a Historical landmark by the State of Texas and the City of Fort Worth. You are always welcome at – The Church where everybody is somebody and Christ is Lord! Pastor Maurice Edward Barnes heard the Master say, ” Well done, thy good and faithful servant” on June 11, 2014. The Zion Baptist Church of Fort Worth, Texas – Lake Como. Our Church serves an important role in the Lake Como community and the city of Fort Worth. It is an unbelievably rewarding experience serving the community through church involvement and Christian Fellowship. The Zion Baptist Church is very active in cultivating spiritual growth and community development. The Church operates a childcare facility, offers youth enrichment activities and various other charitable endeavors. Historically, it has been at the center of religious, political, social, economic, and educational affairs. Established in 1919, the Zion Baptist Church is designated by the State of Texas Historical Commission and the City of Fort Worth as a historical site. Live in the Light to lead others to the Light. Live Life in Christ to encourage others to seek Life in Him. Walk in the Liberty of our Faith to free others.